With almost 40 years’ experience in the agricultural grass seed business, Agritech are one of the longest established blenders of grass seed mixtures in Ireland. At Agritech, we recognise reseeding as one of the most cost effective investments that can be made. Quality grass swards allow for higher animal output, increased grass utilisation and more efficient use of fertiliser. Our ‘Tipperary Grass’ brand is a market leader throughout Ireland with our flagship premium mixture ‘Tipperary No 4A’ used in every county in Ireland. Our agri grass seed range has long enjoyed a reputation for mixtures of high digestibility, yield and longevity. 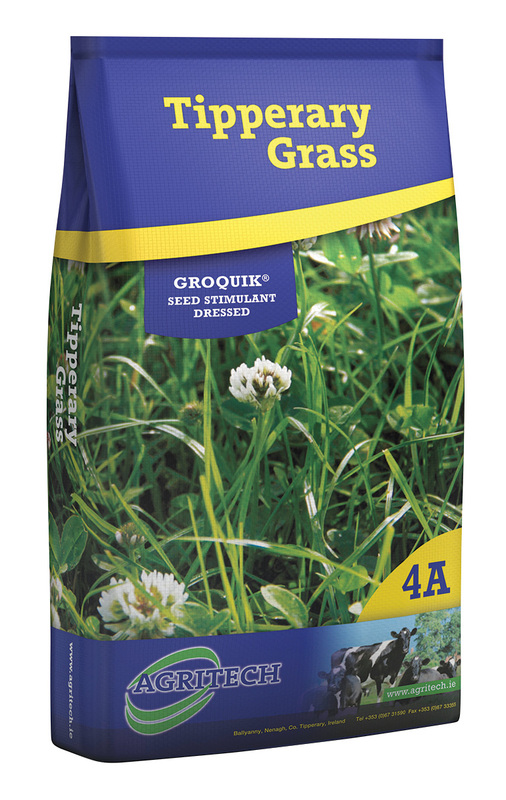 The application of our unique GroQuik® dressing to all of our mixtures helps to ensure optimal germination, establishment and increased yield in new grass leys. The benefits of our dressing are sustained long beyond the sowing and germination period. Grass seed assembly is the backbone of Agritech and we have long recognised that the key criteria in the assembly of grass mixtures is including varieties that complement each other, coupled with optimal levels of clover seed. We pride ourselves as experts in offering to the farmer the very best grass mixtures available and our mixtures speak for themselves as year after year customers return, making our grass seed mixtures one of the leading selling ley mixtures in Ireland. GroQuik® is a biological seed stimulant specially designed to improve seedling establishment. GroQuik® accelerates germination and root growth in both grasses and clover. GroQuik® is especially beneficial under stress conditions, such as cold wet soil when seeds are slow to develop and are prone to dampening off diseases. In dry soil GroQuik® gives the young seedling the extra boost to enable them to grow away. GroQuik® contains natural growth promoters, which need no specific handling precautions. GroQuik® contains natural plant stimulants from brown seaweed, humic acids, trace elements and vitamins. Each seed is coated with GroQuik® for uniform establishment, even under difficult growing conditions. This helps the seed mixture sown to out-compete weed species to produce higher yields. 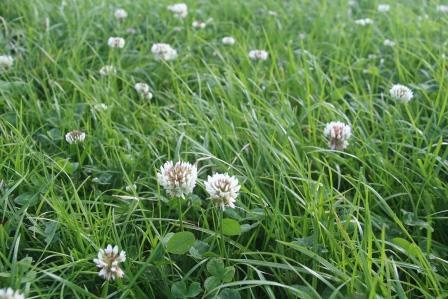 Its benefit in difficult seed establishment conditions and to clover establishment is particularly apparent. 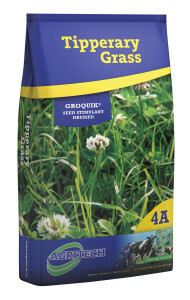 To buy our Grass Seed mixtures, contact your local distributor.